I’m not talking about the pastatarians, of course, or the junk food vegans, or the vegetarians who subsist entirely on pizza and Tofurkey. I’m talking about the ones eating loads of veggies. Actual vegetarians and vegans who eat actual plants. They can learn a ton from us. That’s true. We can learn a lot from them, too. Today, I wanted to discuss just what I’ve learned and what we can learn from plant-based diets. Being a vegan is hard work. Being a healthy vegan is even harder. We Primal types have it easy. We can really let the nutrient-density fall by the wayside because we can always fall back on a few pastured eggs, a quarter pound of beef liver, some wild salmon, a good steak, some oysters and mussels. Someone on a plant-based diet doesn’t have that luxury. They can’t rely on whey protein or ground beef for high-quality bioavailable protein; they have to combine legumes and grains to get the right mix of amino acids. They can’t get all the zinc and iron they’ll ever need from a half dozen oysters. They have to comb the literature for nuts and seeds high in each and make sure not to eat too much iron-binding calcium or zinc-interfering copper at the same meal. They can’t eat long-chain omega-3s directly (unless they eat algae); they must make it out of ALA. Imagine if you ate both high-quality animal foods and maximized the nutrition from plant sources. You’d be unstoppable. There’s a clearly-vegan woman I often see at the farmer’s market. We’ve never spoken about our respective diets (contrary to popular belief, not all vegans immediately announce their dietary ideology), but it’s obvious from the dreadlocks, piercings, waif’s physique, blue/purple/green hair, and (more to the point) basket bulging with green things. We do talk about what she’s got in that basket though. She’s always digging up the most interesting leafy greens, and I’m quick to ask for recommendations. Without her, I wouldn’t know about star spinach, or purslane (I figured it was just a weed; turns out it’s high in omega-3s, magnesium, and calcium), or sweet potato leaves (I’ve read about their use in Africa while researching for the blog but never actually had them), or the multitude of Asian greens. If you want to move past spinach, kale, chard, and lettuce, ask the only hominids who put down several pounds of leafy greens daily. 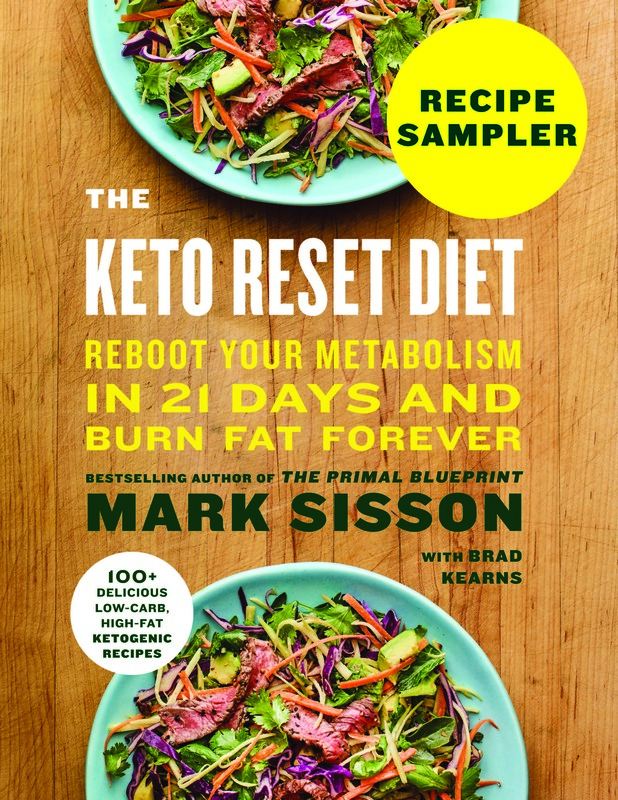 I’m on record as claiming that low-carb, high-fat Primal ways of eating are the simplest, most effective way to lose body fat for the most people. Hell, I’m about to release a book predicated on the notion that becoming fat-adapted is great for your health, performance, and longevity. But I’ll also admit that it’s not for everyone. Some people just don’t do well on this type of macronutrient ratio. And that’s fine. In her excellent presentation at AHS14, entitled “Lessons from the Vegans,” Denise Minger explained how some people who don’t thrive on low-carb, high-fat can actually prosper on low-fat, high-carb diets. But here’s the catch: They should be truly low-fat, as in sub-10% of calories from fat. Anything more, Denise cautions, and you run the risk of entering no man’s land where both fat and glucose metabolism are dysfunctional. The best example of this is the standard American diet, which contains moderate amounts of both (unhealthy) fat and carbs and fails miserably on all fronts. 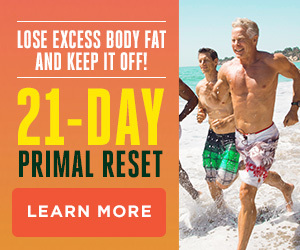 It’s definitely not for me, and it won’t work for everyone or most, and you’d probably need to include animal foods, but you could put together a decent low-fat diet by sticking to Primal sources. Animal well-being matters to us, but we often couch our distaste for CAFOs (concentrated animal feeding operations) in the substandard nutrient content of their products. Makes sense that we’d worry about the nutrition, since we’re eating so many animal foods. But there’s another reason that we shouldn’t forget. And your average plant-based dieter certainly won’t let you forget that some of the industrial animal operations are truly repugnant. Chickens crammed in cages, beakless and miserable. Cows standing knee deep in their own manure. The actual killing is probably the most humane part, as the vast majority of animals are stunned or otherwise rendered unconscious before being killed and butchered. But the life of a CAFO animal is quite miserable. If anything, it’ll bolster your resolve to seek out sustainably-raised, pastured/grass-fed animal products whenever you can. This is one of the more perplexing habits of most plant-based dieters I’ve encountered. They love waxing poetic on defecation and exploring the day-to-day variations in consistency, frequency, texture, odor, and volume. It’s really something to behold. I almost suggest spending a day in the local vegan cafe just to eavesdrop. But if you can bear with it, you might indirectly learn about the importance of gut health. A large percentage of poop, after all, is made up of gut bacteria. And if plant-based dieters are proud of the prominence of their feces, they may be doing something right on the gut bacteria front. Several years back, the media made a huge fuss over a study that claimed to show plant-based diets lead to better gut health and gut biome diversity than diets containing meat. The “meat diet” was a bit of a strawman in that it contained nothing but cheese and cured meats—no fiber at all—but the fact remains that the plant-based diet resulted in a diverse, apparently healthy gut biome. Take that to heart, and eat some fibrous plant matter. Nothing’s stopping you from enhancing your omnivorous diet with loads of plant matter and fermentable fiber. They’re full of fermentable fiber. They’re quite nutrient-dense, containing lots of folate and minerals. They’re low in “net carbs,” especially compared to grains. The lectins they contain are usually deactivated by soaking and/or cooking. But you’ve been away so long that you probably don’t know how to prepare them. I’ll admit that I don’t really know either. Check out some vegan blogs for tips and recipes. They rely so much on legumes for the protein content that they’re far more likely to understand the ins and outs of legume preparation and cooking. You can easily modify the recipes to make them meatier. Add a ham hock or some salt pork (basically, just add pig parts). Use bone broth instead of activated Nepalese rainwater (or make bone broth using the rainwater). Take most other animals and put them on a weirdo diet that strays from their biological foundation, and you’ll have a whole bunch of dead animals in a few weeks. They’re fragile. They’re rigid. Dogs could do all right, but that’s because they co-evolved with humans for tens of thousands of years. And the omnivores like bears would do okay on a range of diets. But gorillas? Pandas? Tigers? No way. Humans can eat just about anything. From Inuit to tropical hunter-gatherers to Swiss dairy farmers to ketogenic dieters to Pacific Islanders to Incan potato farmers to kale-eating highlanders, the range of viable human dietary practices boggles the mind. No diet is more evolutionarily novel than the vegan diet. There are no known records of successful or even factual vegan groups living before last century. Vegetarian, sure. Vegan for a short period of time due to food shortages, of course. But full-time elective vegans? Nope. It just didn’t happen. Yet, there are successful vegans living today. Healthy ones. I might think they can all benefit from an oyster or an egg or a piece of liver or two every now and again, but they’re out there and they exemplify the stunning adaptability of the human animal. So, head down to the local vegan cafe and grab a salad or a bowl (most vegan places hate industrial seed oils as much as we do). I can honestly say I’ve had some genuinely fantastic meals at vegan restaurants. Talk to the vegan clerk at the health food store for some tips on new veggies to try and how to prepare them. Pick the brain of the ripped vegan lifter at your gym. What’s his or her secret? Above all else, don’t ignore good advice and wisdom because of the source. 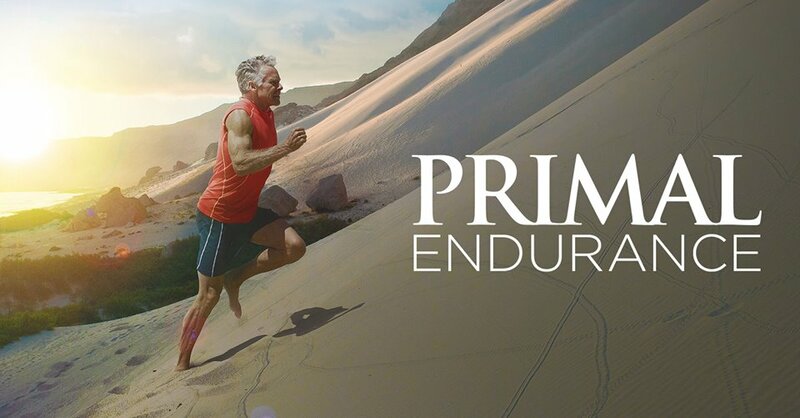 The Primal Blueprint is an opportunist’s way of eating and living. We take what works from ancestral traditions, present-day populations, and modern science to form the best possible lifestyle. 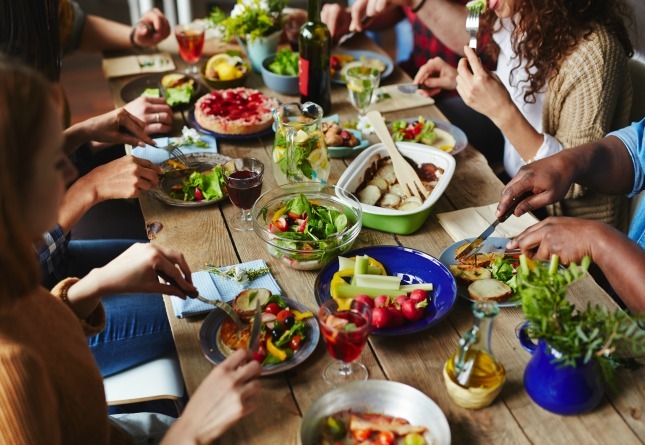 That list of influences has to include plant-based dieters—because every group with any kind of success (well, almost every group) has something to offer. That’s it for me, folks. I think those are some very important lessons, but I’m sure there are more I missed. What have you learned from plant-based diets and dieters? Eastern Orthodox Christian monks and nuns have been eating “vegan” diets – they call it xerophagy – for two thousand years. Mostly only during the prescribed fasting periods (which take up almost half the year), but many do so year round. Not a wholly defined community / society though, which I think was where Mark was going with his argument. Very wise and sage advice, a great read! If only we all could learn to have discussions about opposing viewpoints with this kind of attitude. 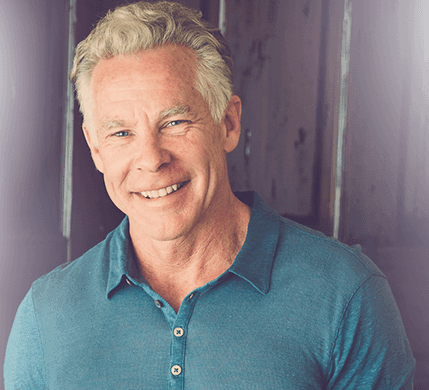 I would at some point in time (perhaps Mark has already written about this) like to know Mr. Sisson’s take on all the information out there recommending that men whose PSA levels are increasing to eliminate or cut way back on meat. I do try to buy humanely raised, no probiotics, grass fed meat and eat a ton of veggies as well as berries, nuts, healthy fats, drink green tea etc. 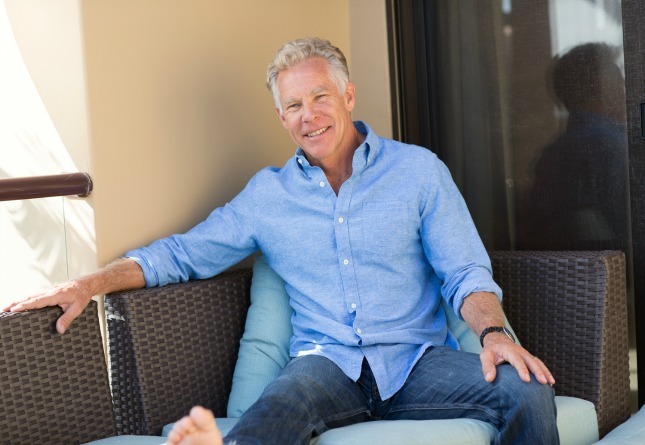 Mark Sisson for President 2020?! I’m with Him! In my experience vegan types that do so for political reasons such as animal rights are truly misguided in their food choices. They tend to consume foods like Tofurkey and other over processed meat substitute products. The organic section types that buy beets with the greens attached, Thai eggplants, and proclaim that Napa cabbage, diakon radish and leeks make great kimchi are the ones in the know. Fermenting vegetables is the key to a healthy vegan diet. They still eat animals but they are the single celled type. Great insight into the Vegan lifestyle. Cannot tell you how much I love this post! As a former vegetarian (over 30 years!) and sometimes vegan, I know that I look and feel my best consuming animal fat and protein. But I learned about some awesome stuff during my vegan days, like having a daily green drink, and consuming a wide variety of leafy greens in general. (And yes, I am familiar with purslane for that reason. It grows in my yard as a weed, but the cultivated stuff is more tender. 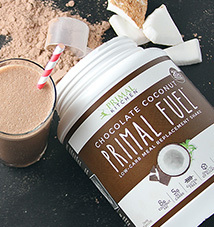 I also learned about all the wonderful coconut products that are a big part of my primal lifestyle. And every now and then a day goes by where I realize that I ate mostly plants (except the collagen in my morning coffee…can’t live without that!) Anyway, I really appreciate this post…we might as well all get along, and this is a great example of how we can truly learn from each other. “Pretty Much Everything to Do with Poop” Gotta admit I laughed a bit too hard on that one and didn’t expect it haha. Great article overall and first one I read from you! Vegetarianism is a deliberate decision to chronically ill for life. I’ve known some pretty healthy vegetarians over the years. It doesn’t work well for me. I wish it did. I really don’t like eating animals of any kind (for all the usual reasons) but my body seems to need a little animal protein with every meal. It keeps me satiated. I can eat twice a day without any desire to snack between meals, and it allows me to IF daily from dinner until lunch the next day. This is in addition to feeling healthier and more energetic. I tried the vegetarian route briefly (NOT as a “pastatarian”) and never felt really well on that kind of diet, but we are all different. Raw vegans make awesome desserts and dehydrator things, pretty much primal. I’ve come up with tons of recipes based on their premises. Some are now staples in our house. (However I’ll add collagen and/or cricket powder to a lot of them.) A little too big on agave nectar, but you can substitute in honey. And wood sorrell (looks like shamrocks, with tiny yellow flowers) is a very tasty lemony weed high in Vitamin C. A good first forage for little ones, because it’s so easy to recognize and tasty. In regards to the ultra low fat diet, I wonder: how would such a low fat diet deliver adequate fat soluble nutrients? To my knowledge fat soluble nutrients are difficult to absorb without fat. Even traditional diets that are on the higher end of the carb spectrum typically contained more than 10% of calories from fat. I believe strongly that individuals must search within and find what works for them; and it is quite possible that such a low fat diet might be beneficial to someone, even if my own body signal driven approximate macronutrient distribution tends to be much higher in fat. Fat soluble nutrient delivery would be an interesting topic to address from a scientific perspective though in a subsequent post. 10% fat is more than enough, almost no food source, even vegan is completely free of fat. Plant based is whole foods based – if you believe nature packages up the right containers of nutrients in whole foods then should strike your fancy. This has been a great article for me. Through a series of unfortunate events my kidneys are not in good shape and it has been recommended for me to stay away from animal protein. Since going primal about 4 years ago I have finally found my niche and am finding it difficult to find good sources of plant protein. I haven’t completely gone vegan as I really can’t give up eggs but just not eating as much animal protein has helped tremendously. My creatinine finally went into the normal range. I am someone who believes that certain animals purpose is to feed and clothe us. I can’t stand to hear of how they are treated so I am careful to only purchase from small farms that treat them well. No, purslane is not high in omega3s. Actually, the total fat content of a 100-gram (3.6-ounce) serving of purslane is negligible at 0.1-0.4 grams. Being a healthy vegan is NOT hard work. My primary parameters are to cause as little suffering and harm to other beings as possible, and minimize environmental damage, and within those parameters to eat as healthy as possible. It’s not hard at all. Limit processed and refined foods. I would argue that given those parameters you should be eating meat. Here’s the catch – most of the vegetable food eaten by humans goes straight through into the toilet, we simply can’t metabolise it. But we still need to grow that on large areas of land which leads to environmental damage. If a meat animal like a cow eats the same food – it is much more efficient. Human’s are metabolised to extract nutrients efficiently from meat. So from this regard, it’s more environmentally damaging to try and get Humans to sustain mostly on vegetables. Its like the E10 in fuel illusion. Research how much rain forest has been destroyed to harvest sugar Cain to produce E10. Not to mention that CO2 has almost no effects on the environment, it is not a greenhouse gas, and the amounts being produced are miniscual percentage of the atmosphere – its a total illusion designed to give rise to carbon credit trading where billions of dollars switch hands. Also, just on E10 – it destroys car engines and can reduce the life of the engine to about 1/3, has the disposal, and manufacturing costs been factored in to the E10 solution illusion ? I bet not. Go to an Asian market and get some Chinese Spinach, Baby Bok Choy and Snow Pea Leaves (amazing!!). My wife sautes them (not altogether, but that might be good as well) with garlic and shallots, and they are amazing. She also throws in some shrimp and/or scallops for even more flavor. She does all the cooking so I don’t know all the ingredients but it’s a traditional way Asians cook greens so I’m sure there a lot of recipes online. I especially recommend the snow pea leaves!! Love, love, love this area of conversation, Mark! Big YES to dialogue, listening, connection, learning and inclusiveness. A ways back, I spent 10 years as a vegetarian/sometimes-vegan. Certain aspects were WAY off for my particular body and mind (and literally fed a health crisis in my late 20s). Now, having eaten primal for years (and making primal, real food a key piece in my work with patients as a doctor), I find my own eating pattern gravitating to more and more plants again. I’m still full-on primal and still eat animal products…but have been gravitating toward more plants all the same. As a health practitioner, I can’t say I’ve ever treated a healthy vegan. That said, I believe deeply that there is no ONE best diet for everyone – or even for one person, for all times. One of the gifts of real-food eating is getting to truly know our own body and what it needs – including through shifts in age, season and lifestyle. Thanks for the message that we can honour and learn from other “eating identities” as part of this process… while at the same time continuing to advocate for the nutrient-dense wonders of primal eating. Cheers! Might the observed advantages of veganism in the short- and medium-term be explained as a form of modified fasting? Over a timescale of years, we observe deficiencies in Vitamin B12 et al. Just because we are facultative omnivores who have recently begun consuming large quantities of plants does not imply that our much more ancient adaptation to animal foods has been eclipsed. Just because we can carry 50 pounds up a hill does not imply that it’s making us run faster. Hey, now I do this too! It’s kind of difficult actually. I only have time to go food shopping once a week so my fridge is stuffed (mostly with veggies) after each trip (and I live alone). I empathize with the ethical/spiritual plant-based dieters. I too find conventional animal-raising practices to be very problematic, to the point where I will not eat CAFO meat in restaurants. This leads dining partners to think I am vegetarian (if only the knew…). However I take issue with those who argue for it based on nutritional or environmental grounds. Many of these have been swayed by decades of misinformation so I cannot blame them. But it is very offputting to those who want to improve their diet or make it more sustainable, as the noise from these crowds makes them think an extreme vegetarian/vegan diet is necessary, so they end up taking no action at all. And here’s the catch – most of the vegetable food eaten by humans goes straight through into the toilet, we simply can’t metabolise it. But we still need to grow that on large areas of land. If a meat animal like a cow eats the same food – it is much more efficient. Human’s are metabolised to eat meat. How do you really know who should go on the ultra low fat diet? People who do not produce enough lipase? Not enough Bile production? Inadequate stomach acid levels? What tests or measurements can be done to decide to go ultra low fat? I myself eat a lot of fat and love it but I am often asked how to know if high fat or low fat is best. Is there anything beyond doing an N=1 experiment to determine this? Just starting on ketogenic diet (coming from diet w/wild rice, sourdough bread, sometimes cheese, and sugary treats a couple times a week). I do eat eggs, nuts/seeds, and wild salmon. This plus greens and I am bored and hungry (eating way too many nuts). I don’t want to give in, but what to do?? I meant to include a green smoothie with whey in the AM. Its full of healthy fat (MCT, avocado, coconut milk, some seeds…). Very little berries. Go to the diet doctor and click on recipes. In your second post you mentioned a smoothie with avocado and good fats, but I have a feeling that maybe you’re bored and hungry because you aren’t eating a wide enough range of foods (and I mean eating, i.e. chewing) or enough fat. This is quite the masqueraded jab at plant-based lifestyle partakers. I understand that you have a business which is founded upon the Primal Lifestyle, but utilizing Denise Minger as a source instantly drains your credibility. I was once a Primal follower, but it was also associated with my Anorexia Nervosa. It felt draining and I hated not being able to consume legumes and bananas. I went plant based to overcome my fear of carbohydrates and if I had felt the need for meat, I would have begun to consume it once again. I also committed to my own research and attempted to eliminate all Primal biases and have concluded that I am, personally, wary of animal products something I will personally be wary of until research without any conflicts of interest persuades me otherwise. I have nothing against the primal, “ancestral” health crowd. I understand those militant vegans are a pain to deal with, even I dislike them. However, this was an unprofessional, hyperbolic mess of a veiled compliment. The “waif’s physique” was rather crude because it can easily fit some primal people that I’ve met. I realized that I made a few grammatical errors. I apologize, I typed this on my phone. I didn’t appreciate the “waif’s physique” comment either, and also as a fellow ED sufferer, I found it quite triggering. But I am a huge fan of Mark and Denise Minger–why do you dislike her?. I currently am gluten-free, dairy-free, and pescatarian. I’m not sure what you mean about the legumes and bananas–neither are forbidden on a primal eating plan. I do wish Mark would do more pieces on EDs in relation to primal. My issue with Denise Minger is her childish and pompous demeanor. I am against the low-carb approach of the Primal Lifestyle and the “proceed with caution” attitude when it comes to consuming carbohydrates. I don’t need the “have I engaged in activity to be able to consume this sweet potato or the can I spare my carb calories for this plantain” thoughts buzzing in my mind. What’s considered a carbohydrate in this community pertains to sweets and whatnot. Individuals tend to not consume those in moderation and, while they are composed of carbohydrates, they also contain hefty doses of lipids and calories. Nevertheless, this is obviously a thinly veiled jab at plant-based individuals. I did not embark on this lifestyle because of animals, but I am glad that I am at least indirectly abstaining from harming them. In addition, I do not have to worry about grocery expenses as much as if I was purchasing grass-fed beef and such. I’ve come to perceive this website and many others like it as what they truly are: a shuttle for potential customers. While this view might be cynical, I stand by it. If I was in Mark’s shoes, I know I would surely not want the primal movement to die out because my business would as well. 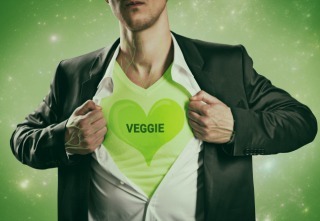 Is a plant-based diet by definition vegetarian or vegan? I’ve always considered my primal diet plant-based. In my opinion, “plant based” is a euphemism for veganism used to veil the fact or to confuse the issue. We have good definitive words that plainly convey what we are talking about: vegan, vegetarian, carnivorous and a few others that indicate the type of animal products a person eats. There is no reason to use the vague term, “plant based”. Actually, all diets are plant based. 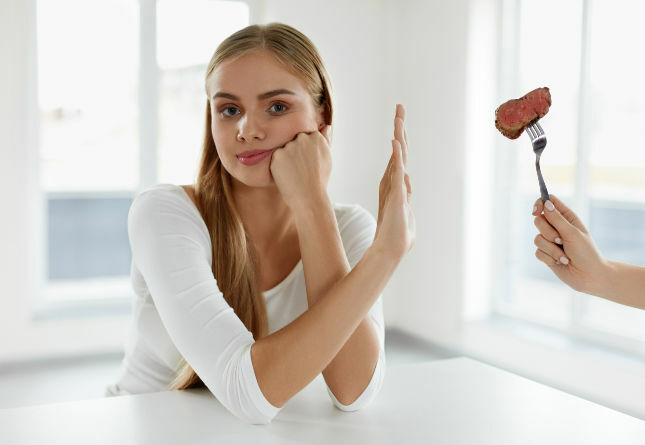 Meat is merely plants that have been incorporated into an animal – while become more available nutritionally to the eater. Great article! I’ve often felt that primal and vegetarian/vegan have WAY more in common with each other than the SAD diet. I’ve gotten some fantastic vegan/raw food recipe books from the library and use them often as they have to be really inventive with vegetables and flavor combinations. I have a goto flax seed/chia seed raw cracker I got from one of the books – love it. I’ve been Primal since 2011 and did very well with High fat; Low carb but only for a time. I’ve always had trouble with losing that last 20 pounds of stubborn body fat. I’m close in age to Mark, and just turned 60. I’ve eaten meat my whole life, but about 2-3 months ago became a “mostly” Vegan. The reasons are many, but primarily due to the very horrendous way in which animals are treated when marked for food production. I also believe its the most impactful thing (to become a Vegan) for the environment that an individual can do. When you think about methane being the number 1 greenhouse gas, it starts to make sense. But I also did it for health reasons (reducing the risk of Colon and Prostate cancers, etc.) But I continue to employ many Primal principles and I still do IF, I continue to take fish oil supplements and am considering bone broth, I lift heavy things and sprint. I’m mostly Vegan because I still consume egg whites on occasion and whole eggs on rare occasions. I will also have the occasional meal of shrimp or fish, but this was mainly a treat on my birthday and was a choice at an Asian Cafe because I can’t stand Tofu and still try and keep soy to an absolute minimum. But, as far as body composition is concerned, I’ve become “skinny” and this is a first for me (I’ve been over weight my entire life) and I feel better than even when I first began my Primal lifestyle. I’m 60, but no one can believe it because besides the gray hair, I look like I’m in my 40’s. I attribute most of this to giving up dairy probably more than meat and although I’m technically low-fat, high carb, I still try to keep the fiber and protein high and the carbs reasonably low. Lots of black beans for me and old habits die hard, so I still keep the rice to a minimum. I’ve learned to make my own cheese by soaking raw cashews and make “tofu” with Garbanzo flour. So being Gluten free (mostly) and soy free for the most part, is really difficult, but also very rewarding and challenges me in the kitchen because I refuse to eat bland, uninteresting food. Bottom line is that it’s really about focusing on your health and finding what works for you! I just happen to look and feel better with this approach. Activated Nepalese rainwater? Seriously? What rock have I been hiding under? I really love my veggies and can eat them morning noon & night. yeah I’ve been stewing (heh heh) over Minger’s really low fat article for a while, especially with this plant-based person I meet in the woods and lift. I mean lift a lot. In the woods. Me the ex-vegetarian hefting a plant-based woman I hardly know, in the woods. Like, between her no animal fat and my tons of it, we average it out. One of many skip-the-middle themes I’ve often noted in Mark’s writing (walk and sprint rather than run, for example). It’s something I think about when I’m twirling my plant-based woman friend on my shoulders. People can be weirdly different. Primal old dudes twirling plant-based women in the forest. It’s, like, a thing. Also broccoli, unlike potatoes or even sweet potatoes, tastes really good boiled just right with the amount of salt Mark would say makes it “pop” and…wait for it…without any fat at all! Try it, really. Broccoli without pastured free-range butter actually tastes good. Who knew? There are no long term healthy Vegans alive today. On a totally strict vegan diet, you can hold out for about 7 years before your body stores hit critical – Gandhi held a totally vegan diet for almost 20 years before admitting he had to supplement with goats milk. ALL of the long term Vegans I know don’t look healthy – thin wispy hair, pale, they don’t have a life glow about them – and they can also have a bad odour. Having said that, it does stand testament that we probably eat way more meat than we actually need. We could most likely substantially reduce our animal food sources, and still be perfectly healthy, but as usual, Human being’s take things over the top and over indulge in eating meat, etc,and don’t respect where the food source came from. People in the west need to learn self control, self discipline, and self responsibility, something we are poorly lacking in. Most tribes when they kill an animal for food, pay respects to the animal, and waste nothing. Good read ! I haven’t been totally on vegan diet. I think i should give it a go. Wonderful article, a great read! Eat a ton of vegetables as well as fruits…A great look at vegetarian way of life. The problem with veganism is the types of fats in the diet, not the amount. I would only recommend a vegan eat coconut and coconut oil for their majority fat intake. 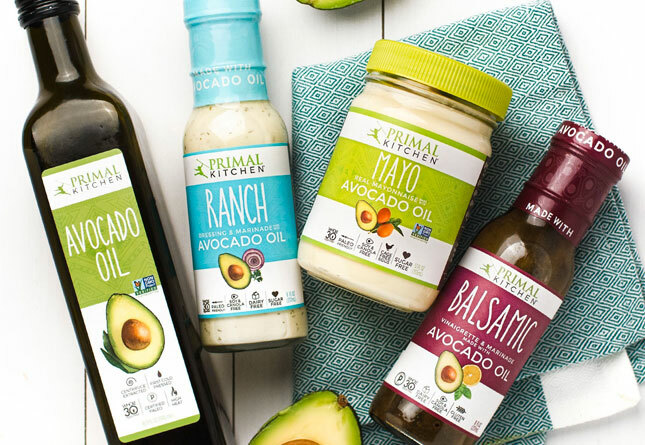 Every other source of plant fat is substantially higher in omega 6 polyunsaturated fats. When you think of the best fats out here to be eating, things like tallow, raw butter, raw cream, and coconut oil come to mind. Coconut oil is the only one that’s vegan. And to make matters worse, a lot of the malnourished vegan enthusiasts like John McDougall tell you to avoid saturated fat, so unfortunately most vegans avoid coconut oil. Go read Ray Peat’s work on the dangers of polyunsaturated fats. Unless a vegan recognizes this danger and switches to saturated fats, the diet is vastly inferior and will increase cancer, heart disease, diabetes, and liver disease risks. Not to mention various bone diseases like arthritis and osteoporosis. Does anyone have any background on “The China Study” as a basis for a vegan lifestyle? I have a few family members who went vegan mainly because of that type of literature, but unfortunately have seemed to miss the point and continue to eat a lot of grains. I was intrigued by this article’s point that no society has been successfully/factually vegan, when my understanding of the China study was that these smaller regional communities within China were specifically chosen because of the long history of the consistency in their diets throughout history due to geographical limitations. Within these groups were 100% plant-based/vegan communities, which led to the main premise of the book around vegan-diets preventing cancer and other diseases. Would love feedback from anyone that may have more expertise in this area that can help give me information for a better conversation with my family.